Tierra Verde townhouses offer one of the best values in one of the best locations in St. Petersburg! Live 3 minutes from Fort De Soto Park by car or 10 minutes on your bike, 7 minutes to St. Pete Beach or I-275, 12 minutes to downtown, and 22 minutes to Tampa International Airport. 1,600 Sq. Ft. of Tierra Verde living with 2 King size master suites and a garage for the price of a 1,200 Sq. Ft. condo. Contact me for a private showing! Downtown St. Petersburg is bustling and growing from buildings popping up everywhere. With two newly constructed high rises and a skyscraper on the way, builders are doing their best to keep up with the raising demand for property. Even though more and more buildings are being created, the need for additional apartments and condos just seems to grow even higher every day; it seems as though the excitement of living downtown is just too much to resist. At least that’s what Bowen Arnold of DDA Development is saying. He states that over the last few years, new opportunities to grow keep presenting themselves and he couldn’t be more excited about it. People are just eating up the idea of living in the excitement of downtown St. Pete. In fact, now that construction is complete on Salvador Condos, it’s filling up so fast that Arnold actually sold four units in just 30 days. And that’s not all. On the other side of town ONE St. Petersburg is 81% sold out. So, what is it that makes these properties extremely desirable? There are a couple of different explanations. The first, and most important reason, is that the generation gap has been crossed. This means that there are diverse groups of people, from their early 20’s to their late 70’s, that are all interested in buying units in these high-rise properties. This increases demand and market of desirability for these units. The second reason has to do with location. These available units are only 15 minutes away from the beach and close to a plethora of exciting, interesting restaurants. Just the idea of being able to walk to dozens of fun activities is enough to have people pouring in. Although the units are filling up fast, Arnold says that he plans on constructing more buildings as soon as possible to ensure there’s plenty of living space for whoever wants to move to downtown St. Petersburg. As always, please don’t hesitate to Contact us at any time with questions. We thought it might be interesting for us to hand pick seven available condos on the barrier islands of Pinellas County so people can see what’s out there right now. These seven properties are in a wide range of prices, are all great picks for different reasons, and of course are all nicely located. Will the new St. Petersburg Pier look like the Syndey Opera House? Probably not (though it's fun to see what it would look like). But what it will look like, who will design it, and when it will be completed are all still up in the air. We made the trek over the Sunshine Skyway Bridge to south Tampa Bay this past week to get some video of a Bradenton Beach house for one of our Canadian customers. What a great property with huge potential for investment. This is a brand new home built as a spec, and the builders did a fantastic job. The Tampa Bay area, including the cities of Tampa, St. Petersburg and Clearwater, is in a recovering real estate market with rising home prices. That is great news for sellers, and also for buyers waiting for the right time to purchase real estate. With some of the most beautiful white sandy beaches in the country, and some of the most desirable real estate in the nation, the Tampa Bay area has a lot to offer. Whether you are a permanent resident, are looking for a vacation home or investment property, or plan to retire, in the Tampa Bay area you will find everything you need to suit your lifestyle and family’s needs. This waterfront condo at St Pete Yacht & Tennis Club in St Pete Beach has a lot going for it for under $300K. 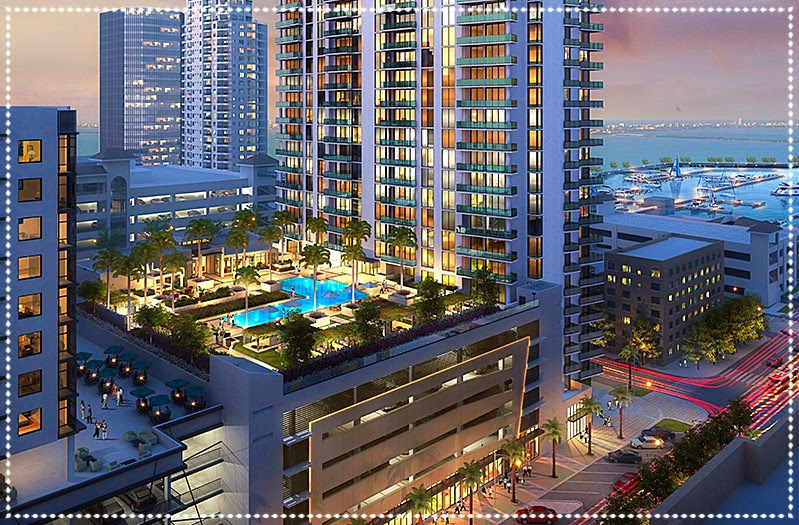 Great views of the Intracoastal Waterway and Gulf, open kitchen, comfortable spaces and great amenities. Contact us for a showing. 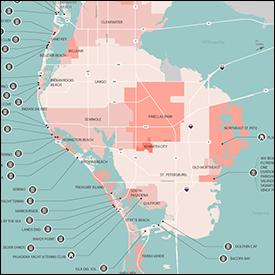 Pinellas County FL, the best place to live in the U.S.? I have a pilot friend who has been flying around the United States for much of his life. When he has long layovers he doesn’t just sit in the hotel and surf the web. He gets out and sees the sights, eats at the restaurants, and gets to know the locals. He has said to me on several occasions “I have been everywhere in the country, and seen just about everything, and I can tell you absolutely that this is the best place to live in the U.S.” He happens to live in St. Pete Beach, the southern-most beach town on the barrier islands of Pinellas county. Of course, there is no perfect place to live. People may say they found their nirvana, but I don’t believe it. I bet there is not one person in the United States who can honestly say their home town is not missing anything. Is Pinellas the perfect place for me? Certainly not. We don’t have mountains, and I love to hike and ski (the snow kind). My perfect place would be several places; a beach home in Treasure Island or Indian Rocks Beach, a mountain home in Summit County, CO, maybe a house somewhere in California, where you can be close to beaches and mountains (but can’t swim without a wetsuit because the water is too cold).